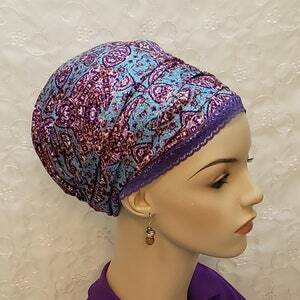 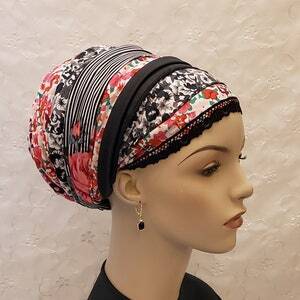 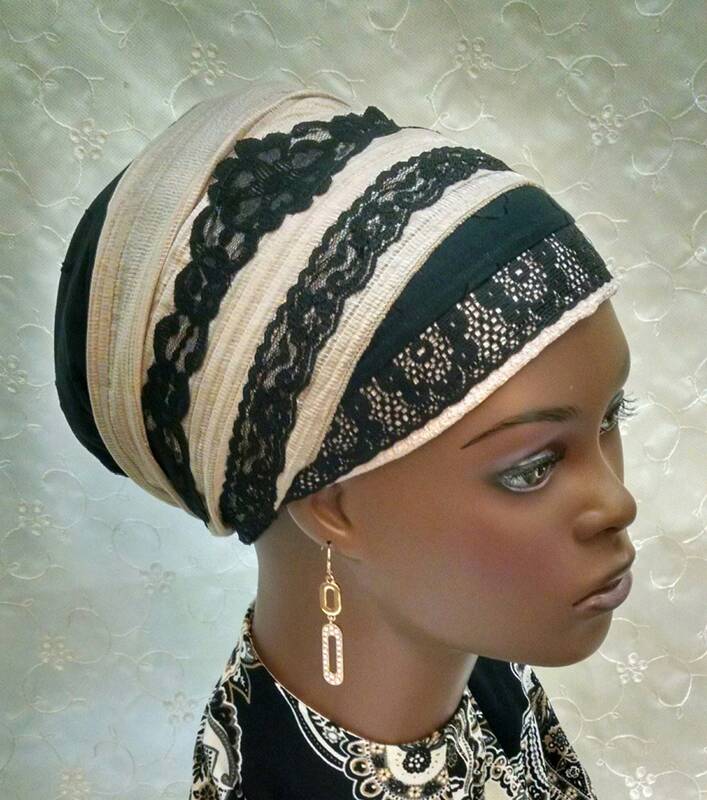 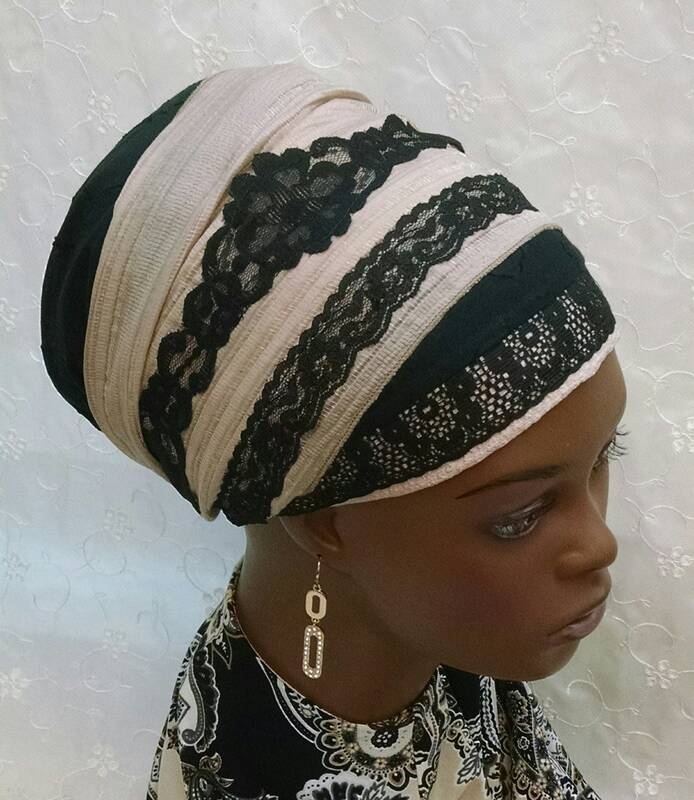 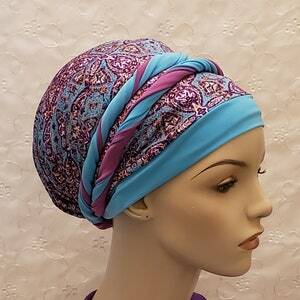 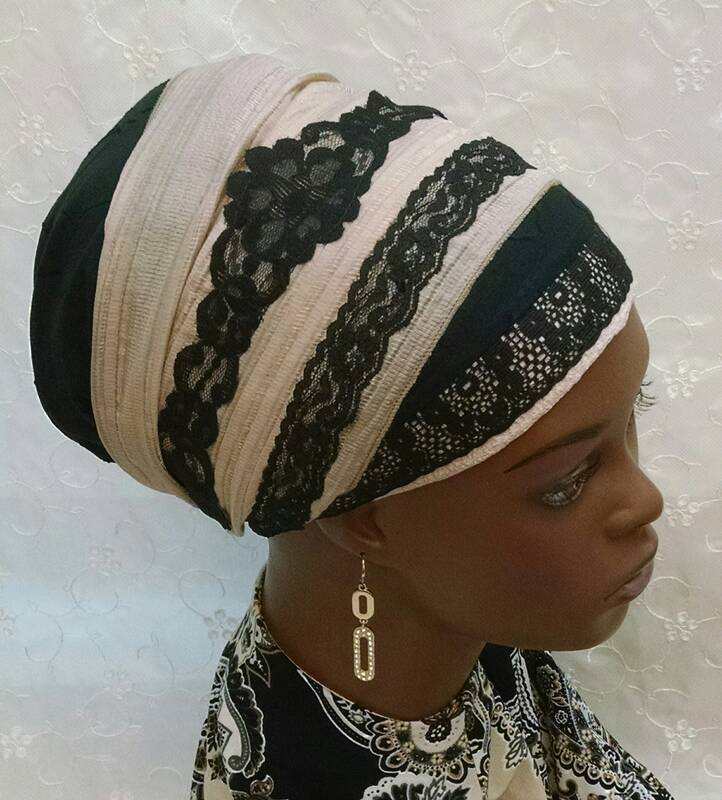 Elegant lace detailed cotton sinar tichel! 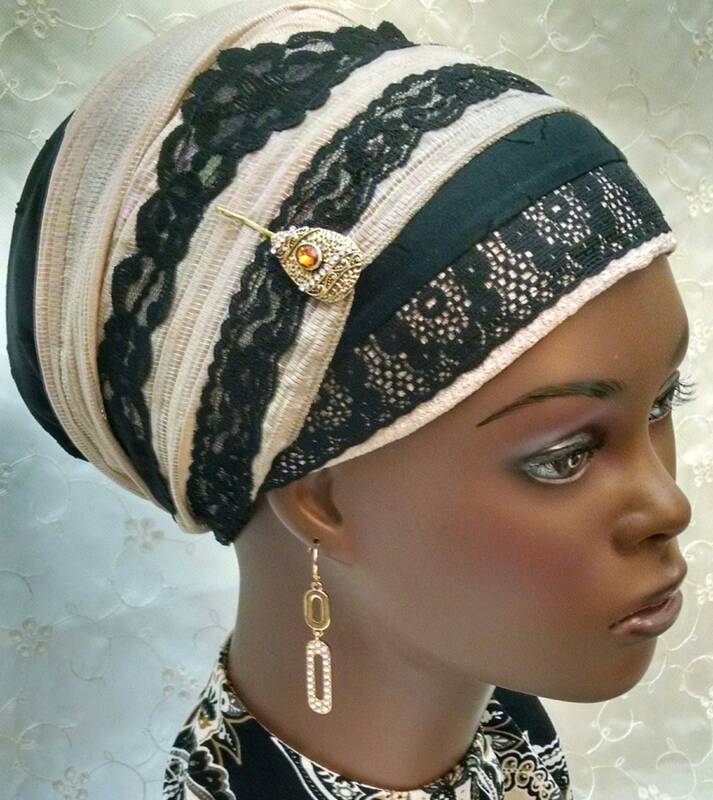 Beautiful lightweight black on black cotton with a modern floral design is wrapped with lace embellish champagne ties. 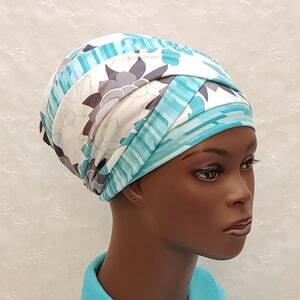 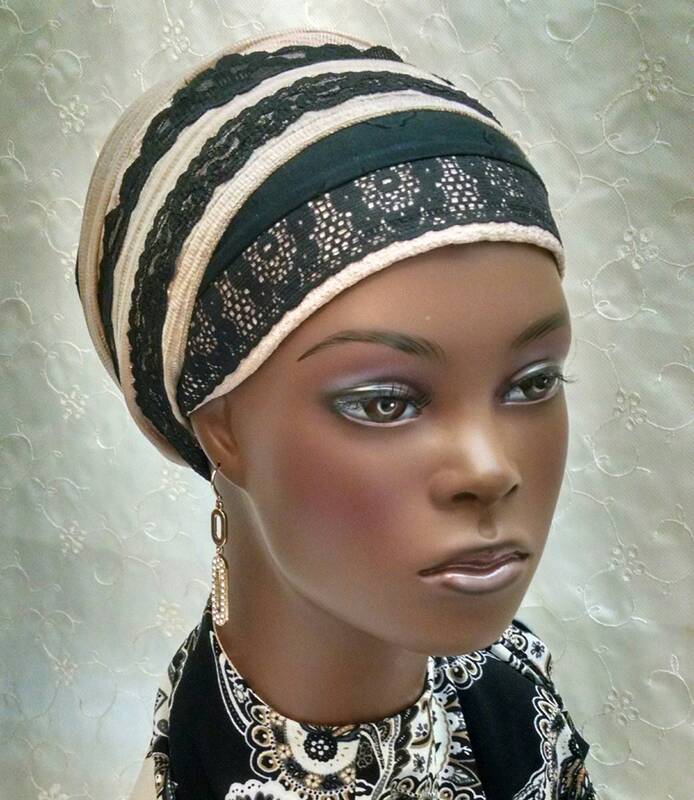 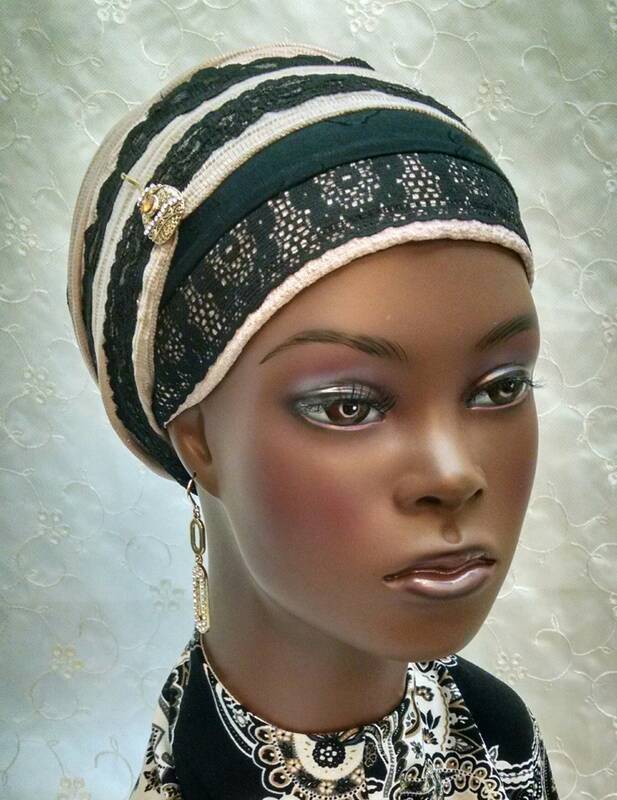 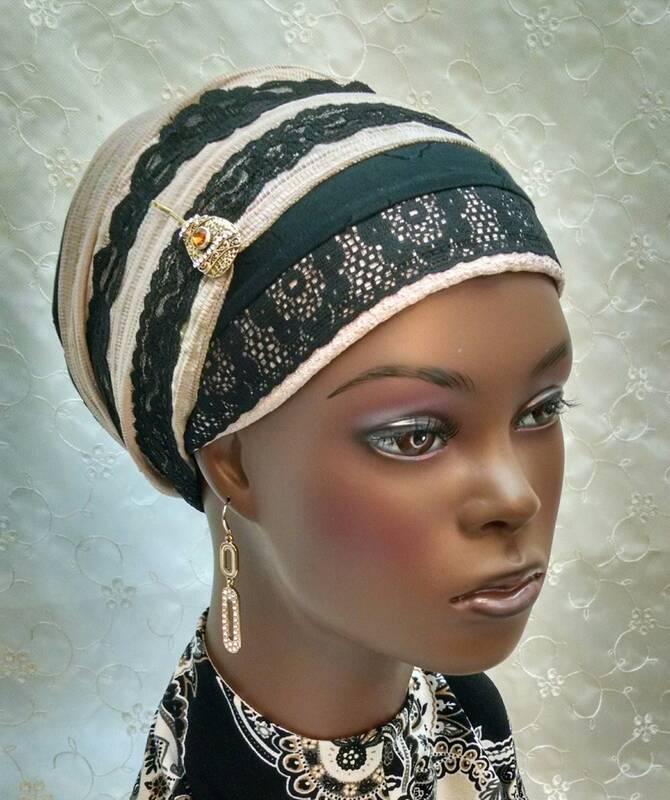 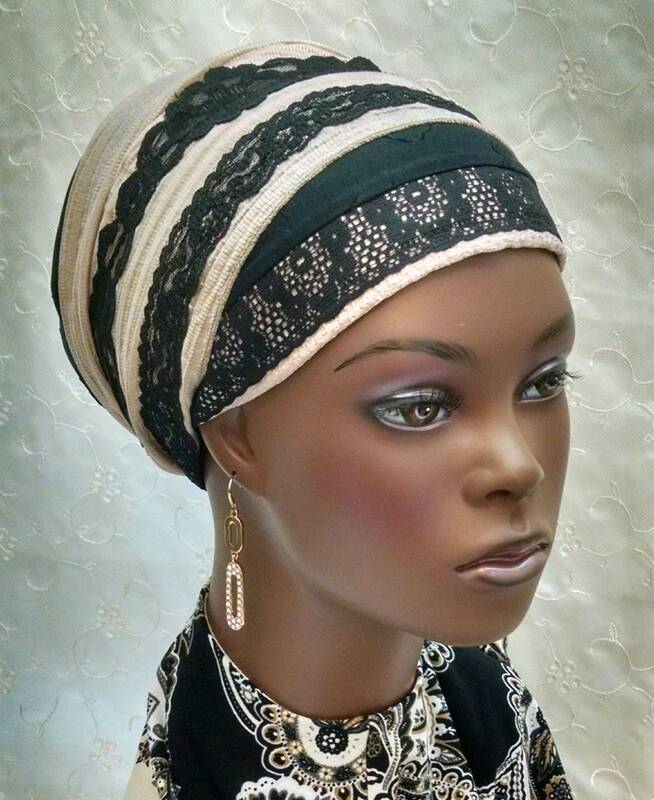 Add a scarf/tichel pin to up grade this magnificent look even more in seconds! 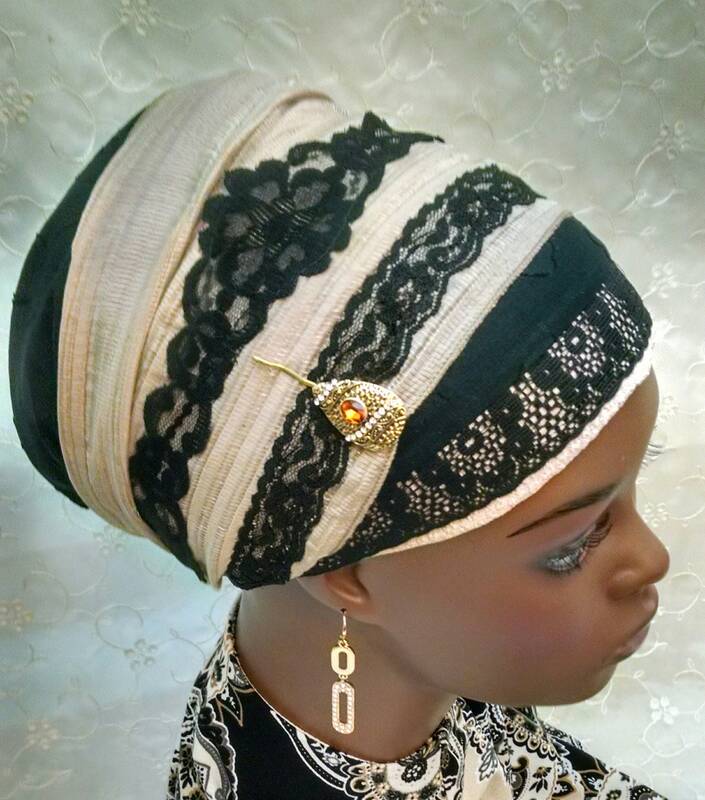 *Pin in the pictures does not come with the scarf and can be purchased separately from my shop.